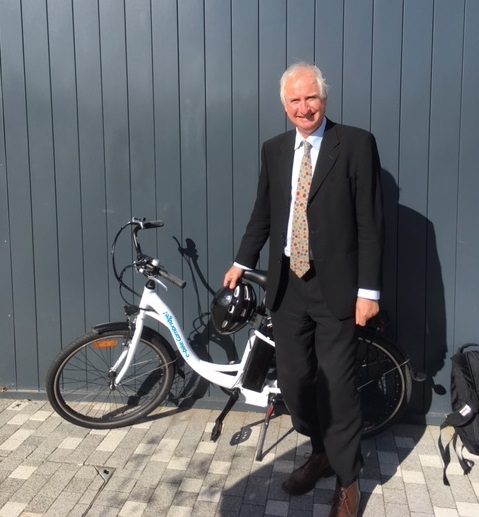 Daniel Zeichner, Cambridge City’s MP will be riding one of its electric bikes throughout the day on Car Free and Zero Emissions Day, Friday 21st September. He will be collecting the e-bike on Cambridge Science Park. The latter is the first business park to have piloted Cambridge Electric Transport’s e-bike scheme encouraging over 35 companies to try the bikes. 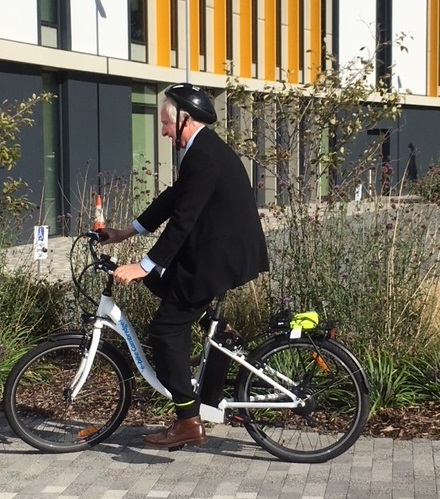 In a bid to show Cambridge residents that using more sustainable forms of transport is the way to keep healthy, save money and reduce pollution and traffic levels in the city, Daniel Zeichner and his Chief of Staff will be riding Cambridge Electric Transport’s e-bikes throughout the day. Friday 21st September is the international Car Free and Zero Emissions Day and all over the world people will be dropping the keys to go green. Car Free Day is organised in various cities throughout the world in different ways, but with the common goal of reducing the number of cars on the streets. The benefit to greater society is a day with less traffic congestion, a greener environment and reduced gasoline demand. Today, Car Free Day includes celebrations in 46 countries and over 2,000 cities. Employees of the North Cambridge business parks can hire an electric bike for free by booking on our online booking page. Try something new today, save money and go green. Companies wishing to regularly use the bikes for employee commuting and internal meetings can do so by contacting Perry Carroll at Perryc@nullcambridgeelectrictransport.co.uk.